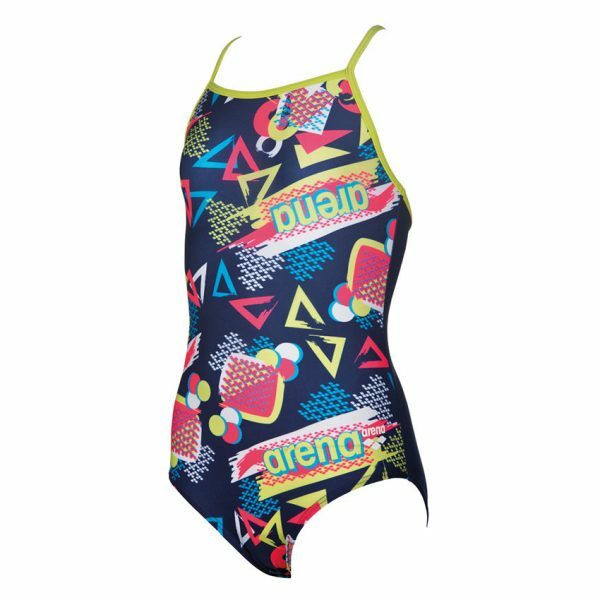 The Candy swimming costume has a bold sweetie inspired design across the front and a plain back. 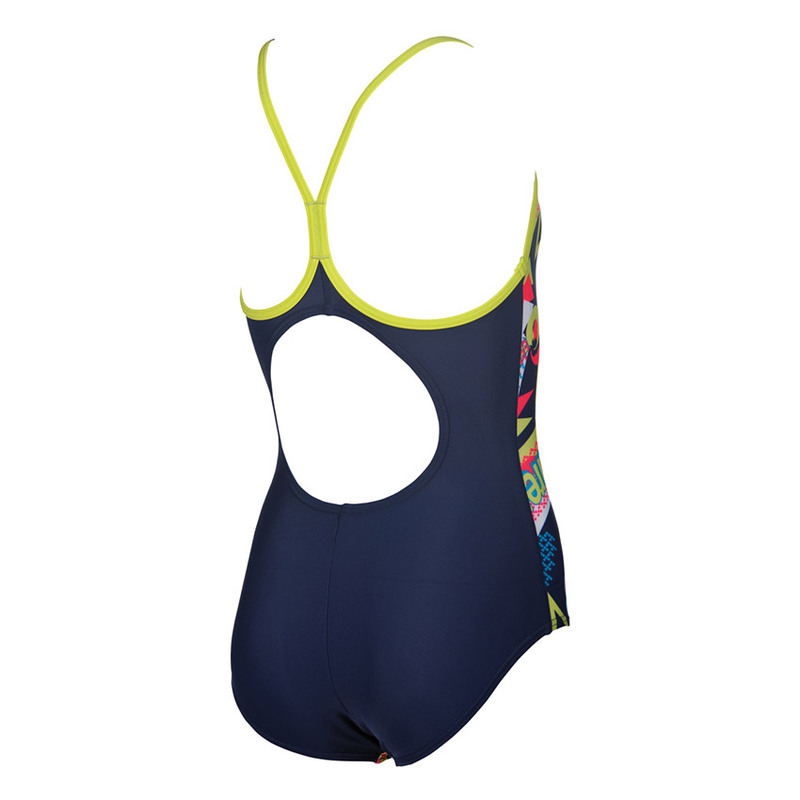 The navy blue back is complimented by the slim ‘light drop’ style straps in soft green. 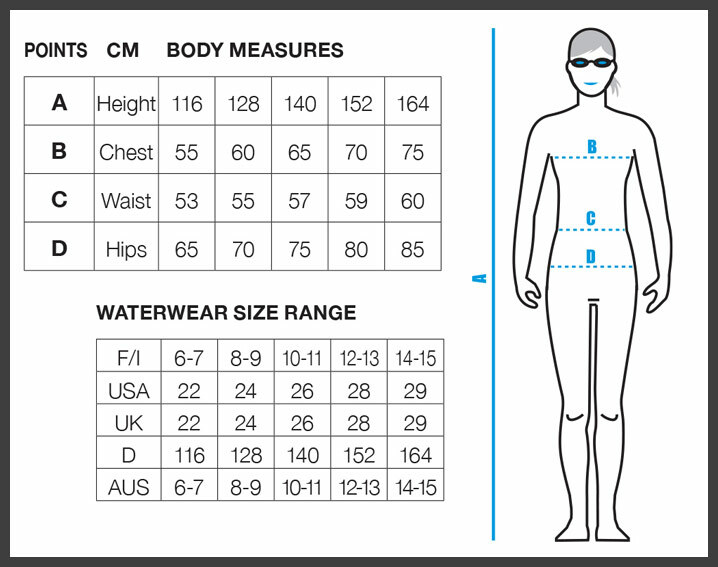 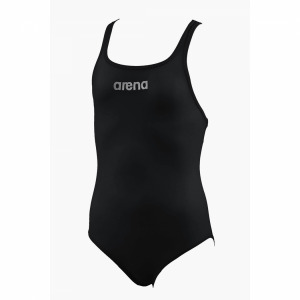 You won’t get a more comfortable swimsuit than those made from Arena’s MaxFit material. 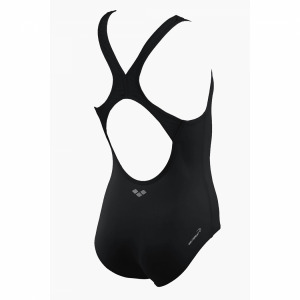 Its high elasticity and superior softness provide maximum comfort in the water. This makes them perfect for regular training as well as the occasional trip to the pool! 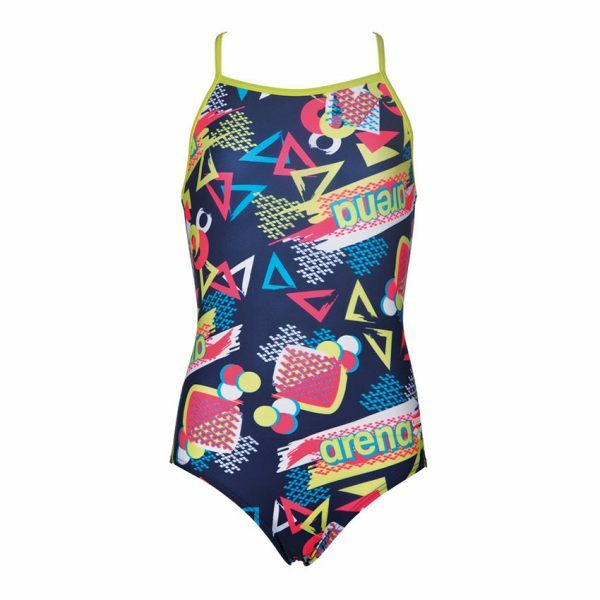 The Teen swimsuit is not too girly and certainly not too plain! 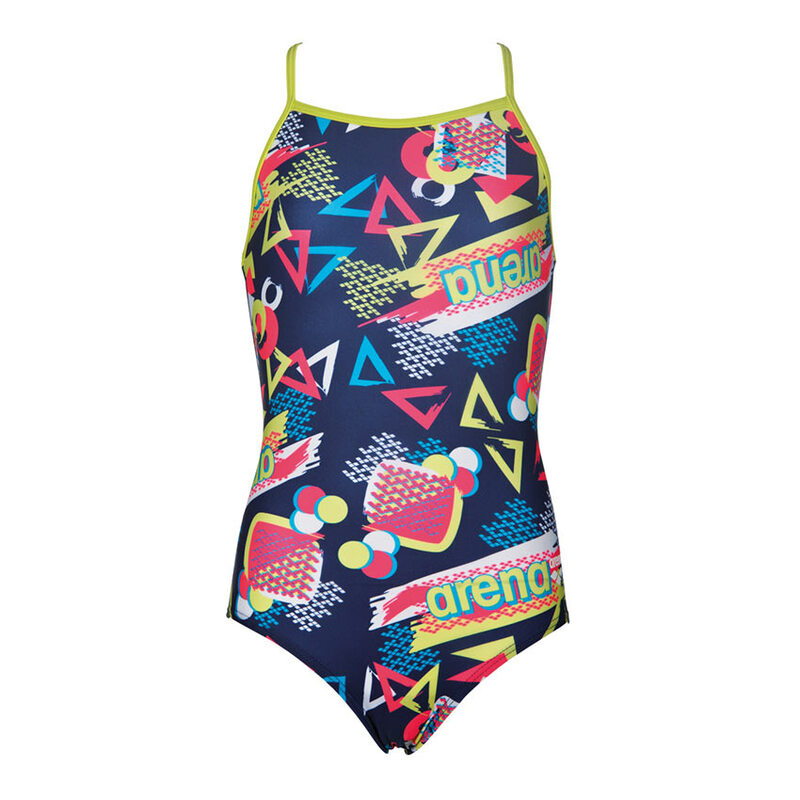 Have you looked at the other items in the Arena girl’s swimwear range? GIRLS SWIMWEAR There is a huge range of patterns as well as plain colours.